Nokia PC Suite is a specially designed application for Nokia mobile users to synchronize important files like documents, photos, videos, etc. Using this, content can be edited, transferred from mobile phone to computer and vice versa. You can also backup personal data easily with Nokia PC Suite. 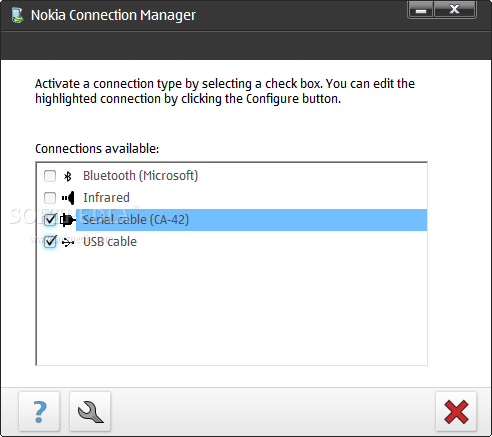 There are four connectivity options available for successfully connecting to a computer – Bluetooth, Infrared, Serial Cable (CA-42) and USB Cable. Among these four options, USB Cable is the best and fastest connectivity approach recommended for users. If there is some connection or transferring problem, then establishing a new connection should be the best choice. 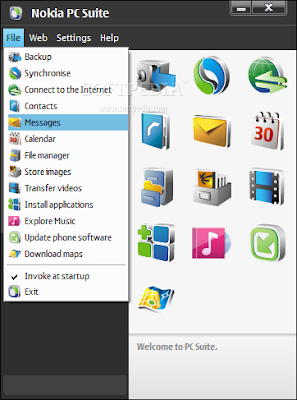 The main asset of using Nokia PC Suite is Messaging function which is quite handy tool to send an SMS message to any contact in the address book directly from your computer. Synchronize your mobile phone and PC Calendars. Backup your important phone data and quickly restore it. Easily transfer data like photos, videos, documents, and music from mobile to PC and vice versa. Edit photos, contacts, and file names. Install Java applications in your Nokia mobile phone. Convert mp3 files to ringtone formats. Video viewing and conversation feature to play videos supported by your Nokia mobile. Send text messages from your PC and play multimedia messages and videos. Explore Music and update phone softwares. Nokia mobile phone connected to PC. 300MB free hard disk space. Connection using USB Cable, Infrared or Bluetooth. Windows XP, Vista and 7 supported. Download the latest application version of Nokia PC Suite 7.1.180.46 for free.